Gotta avoid 'em all! Damn these zombie Pokémon are suffering. Just look at that poor Weepinbell on top. 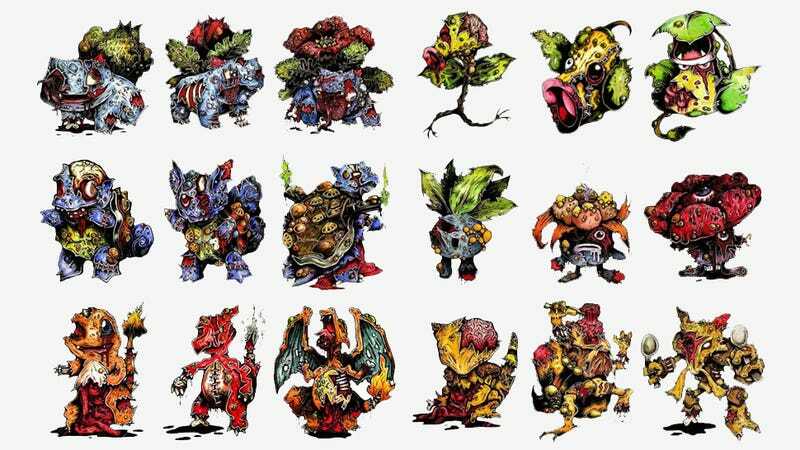 Artist Daryl Hobson did a great job creating a collection of zombified Pokémon. Head over to his site for more and for a 2014 Zombie Pokedex.